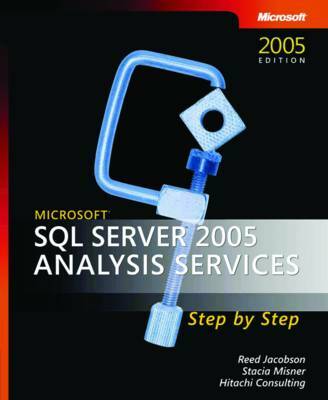 Teach yourself the fundamentals of SQL Server Analysis Services-one step at a time. With this practical, learn-by-doing tutorial, you get the guidance you need to build flexible and powerful solutions that meet the analytical needs of your organization. Discover how to: * Start building cubes using the Microsoft Visual Studio 2005 Business Intelligence designers * Create dimensions and measure groups to build, browse, and modify OLAP cubes * Design objects to handle unique financial analysis requirements * Improve query performance with aggregations and user hierarchies * Customize cubes with multi-dimensional expressions (MDX) and other advanced design techniques * Use actions to integrate Web pages, reporting applications, and drillthrough capabilities with cubes * Manage role-based security and restrict data access * Deploy and maintain a database in a production environment CD features * All practice exercises and answer files * Fully searchable eBook For customers who purchase an ebook version of this title, instructions for downloading the CD files can be found in the ebook.